It took us and our network of traveller mummies, many a screaming baby during transatlantic flights, to come up with the ULTIMATE list of things you need when travelling by plane with a baby. Ignore the list at your peril! Thankfully, as we are all experienced travellers, the list is not too long so there is no need for your carry-on to be the size of a small car. This list if for babies which are still milk-fed – we will be doing a list for weaned babies soon. we recommend taking a couple of sleep suits for the baby and at least a unisex t-shirt or jumper for either you or daddy. Dummies/ pacifiers. Take a couple more than you usually need and if you do not have a dummy holder, it is time to invest in one. Plenty of small toys. Check out our blog ‘top 10 toys for the holidays” for ideas. Most of the toys recommended are easy to travel with. Baby sling. Chose one that packs small. The babasling is our favourite. 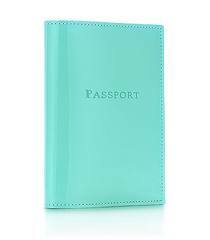 We use it when walking around the terminal and passing through security. It also means that you do not need to hold the baby for the duration of a short flight and can have your hands free. Nappies and changing mat. We know…. a bit obvious, but if you are packing for the whole family for a week away, you are likely to forget some of the most obvious things. You can use the changing mat of your moomboo so there is one less thing to think about. Wipes, wipes, wipes!! You can never have enough. We usually take two types. The usual baby wipes and the ones with mild antiseptic (such as the Tommee Tippee Souther, Teat and Teether wipes) – ideal for wiping dummies, toys or the seat around you if your baby likes to leak everything like one of ours does! Muslins. The ultimate multi-tasker. Wipes drool, mil k or vomit and very useful for shading the baby from the light when the cabin lights come back on. 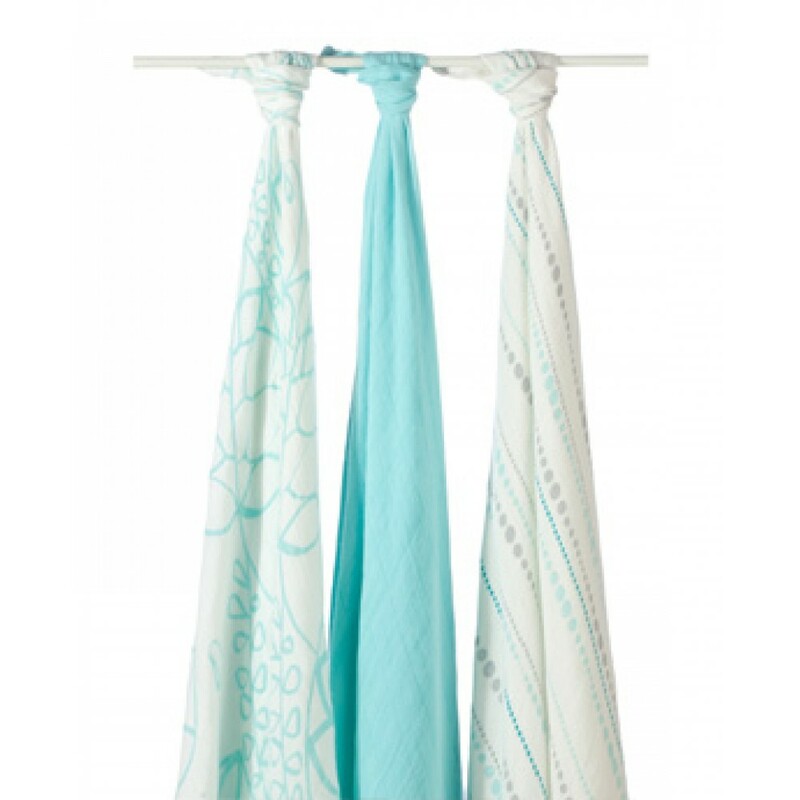 Our favourite are the Aden + Anais muslins because of their large size and cool designs – they can also be used as light blankets. Plenty of formula and bottles. You never know how long a flight is likely to be delayed and anyway most mummies like to give a bottle during take off and landing to keep babies calm. 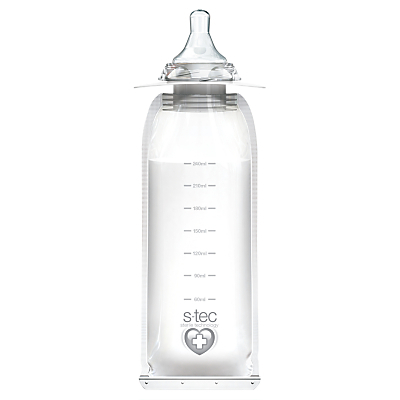 As bottles take quite a bit of space, we always take a couple of disposable pre-sterilised bottles with us for emergencies. Security will make you try any liquids you carry on, and depending on the grumpiness of the airport security staff, you might be made to open more than one carton of formula. We found that taking formula in powder form is much easier on the plane. A couple of powder dispensers will take up less space and will also cover you for any emergencies. Just fill the bottles with a bit of extra water in case you are made to have a sip from each bottle by the airport security staff. Blanket, hat and socks. Cabin temperature is crazy. We always travel with lots of layers to adjust clothing according to temperature and we do the same for our babies. As babies lose the majority of heat from their head, a hat is essential and also takes little space. As for socks…we are still looking for a pair that will stay on so an extra pair is a must. 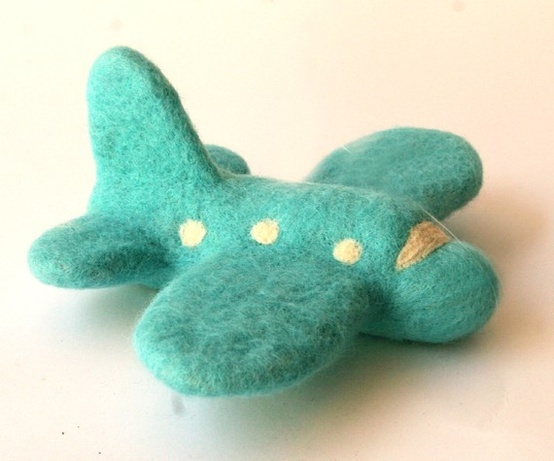 A cotton cellular blanket packs very small and has been useful for many a flight…. Plastic bags. Just have a few of various sizes at the bottom of your bag. handy for soiled clothes, dirty toys …all sorts of emergencies. And do not forget your moomboo This is one of the main reasons we came up with the idea and as it packs so small, you will be able to fit all of the above and the moomboo in your carry-on! Share with us your baby travel tips. This entry was posted in About Moomboo, Travel Tips, Uncategorized and tagged baby, essentials, list, plane, tips, travel on April 7, 2013 by moomboo. Were you a jet-setter prior to having your baby? Or perhaps you looked forward to your big holidays all year wishing for those late wake ups, breakfasts in bed, a relaxing day of your chosen activities with no need to plan. . . We were like that too, until we had babies! Our first Christmas holidays with babies were very different than they’ve been in the past. We each approached the holidays with a different plan in mind, but I don’t think either one of us was fully prepared for what happened. In this dual post (one today and one later in the week), we will divulge our two very different experiences in hopes they can help you plan your first long haul holiday with your baby. Close enough to friends that we can actually have a fun time with on NYE whilst still having the baby on the premises with us but comfortably sleeping. This was going to be a challenge, because my husband was not comfortable leaving our baby boy to spend his first NYE with a babysitter. He wanted us to be together, even if one of us was fast asleep (our baby boy started sleeping through from 7-7 at the age of 6 months,so we knew he’d be knocked out by midnight!) In comes our saving grace, a very dear friend of mine who suggested Morocco. Yes, I bet you’re making that face. . . The one we got from lots of friends thinking we were nuts taking a baby to Morocco. Well, all I can say is that it was one of the best decisions we ever made. Morocco is 3 hours from London and has sunshine to spare all day long! If you aren’t lucky enough to have a Moroccan BFF, then here is the best kept holiday-with-baby-secret: RENT A VILLA! It is by far the best way to enjoy your friends company without feeling guilty that you are cramping their style. They can go out at night, come and go as they please, and you can fit lots of activities in without disrupting your baby’s schedule and without exhausting yourself! For example, your friends can play with the baby to give you a short nap, you can all simply play by the poolside while everyone has fun and relaxes. You can have joint meals, and even host NYE guests at your house while the baby sleeps upstairs comfortably isolated from all the noise. You can even have a tete a tete with your husband when your friends go out to party for the evening and you’ve put the baby upstairs to sleep. In a hotel, you’d either be bound to having room service in the dark (if you have a single room that you share with your baby) or you’d have to get a babysitter. 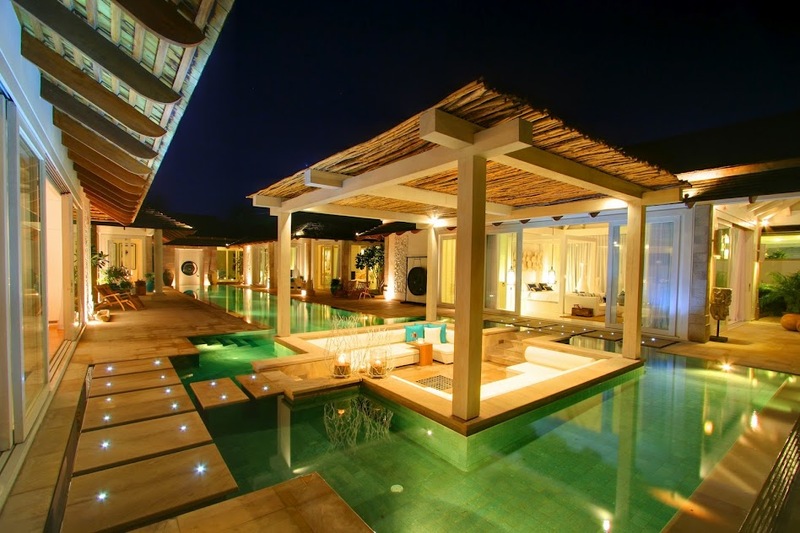 If you don’t like to leave your baby with babysitters (or don’t travel with your nanny), then a villa is the best option for you too! If you’re convinced about villa holidays, then here is a tip if you’re thinking of Marrakesh as your next destination: Al Maaden (we stayed in a Ryad in Medina Les Oliviers- It was WONDERFUL)! By the way, if you know of good baby friendly villa holiday destinations in self contained resorts like Al Maaden, please send those tips our way so we can share it in a future blog post! This entry was posted in Travel Tips and tagged Al Maaden, holidays, morocco, ryad, travel, travel with baby, villa on January 7, 2013 by moomboo. So you know we are all about comfort and efficiency when traveling, especially when you have to worry about all the things your baby needs. Just when you think you have the perfect travel formula all figured out, you forget those few key essentials for the long haul flights. Sure, moomboo will provide your little one with a comfortable, safe place to sleep, play and be changed while on the plane, but there are other little bits and bobs you shouldn’t do without. We’ve compiled, thanks to our great network of jet set yummy mummies, the top 10 most likely to forget list when you’re traveling on a long haul flight. Hopefully you won’t have to go through the same little hiccups we encountered when we forgot these! A comfy sling to walk the baby around and carry them through security – we love the Babasling as it isn’t metallic and can easily fit through airport security on you so that if the baby is sleeping you don’t have to take them out or wake them up (unless you run into a crabby security person that makes you do that anyway). An Ipad with downloaded baby friendly clips – have you seen the Baby’s First Stroller Book? Its a great little animated booklet that with plenty of visual stimuli for your pumpkin to soak in during the long flight. (This gives you the perfect excuse to get a cute little iPad cover to prevent your munchkin from chewing all over the screen). Lots of wipes – not only for the nappy changing(which we are sure you already thought of), but to clean pacifiers, toys, and the seat around you that the baby could lick/touch and meddle around with. You may also want to take extra blankets to put the baby on if they already roll around (otherwise your moomboo will suffice for this)! Emergency Calpol/Benadryl – We know, we know, a lot of doctors may not officially endorse this idea, but even our paediatrician winked at us when we mentioned this. It can be a life saver when you have 8 more hours to go and your baby shows no sign of settling down- really! 7 Disposable pre-sterilized bottles – you never know how long your flight will be delayed, and if you’re into the simple, compact, convenient disposable world these are it. On the other hand, if you prefer not to use disposable items, then don’t forget a bottle brush and some non bio detergent (in a less than 100ml container) to clean those bottles on the plane! Nappy sacs – not necessarily for the nappies, but for all the waste that you accumulate with a baby on board! Although airlines provide them, you may just want to bring your own so you don’t depend on a stewardess to bring you some when you’re desperate to put something stinky, or sticky away! Although the above is a result lots of air miles (can you say Korea, Thailand, China, Japan, US, Mexico and Argentina? ), we are sure we’ve forgotten something too! What are your top picks to make it on this list? This entry was posted in Travel Tips, Uncategorized and tagged babasling, baby, essentials, plane, travel on December 2, 2012 by moomboo. So you’ve out you’re having a baby – congratulations! After the excitement, celebrations, and day dreaming about your future little thing, the panic sets in. All the things you have to buy can become quite overwhelming. We’ve been there, so we want to help you avoid some of the same mistakes we made by sharing our no need to buy list to save you some money! Once moomboo hits the stores you’ll be able to eliminate more from your list all together, but for now, here are 3 things you can definitely do without (although there is 1 you may still want to buy anyway). This is the first post of our series called – “Unnecessary Baby Paraphernalia” so do keep coming back to visit us to learn more! 1. Two Prams/Buggies– you do not need a travel and a day pram. Don’t be suckered into buying two. Just find one that suits your family planning style. One of us fell for the trap and ended up buying the City Select Baby Jogger and the City Select Mini. While both prams are lovely, we could have just stuck to the first one as its compact enough to travel with and can incorporate the maxi cosi seat on it when you’re traveling by car or plane a further so you don’t have to take a pram plus a car seat. In addition, it fits two kids on the same frame so that when the family gets larger there is no need to buy another pram. The other one of us has the Bugaboo, which is sufficiently narrow to travel with anywhere. Having said that, its worth investing in a pram cover if you are traveling with the Bugaboo! 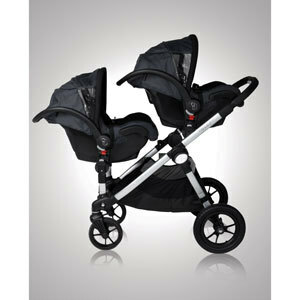 (We will do a review of our prams in a later post for more details). Korbell is a very easy to use, sleek design, but isn’t necessary! 2. 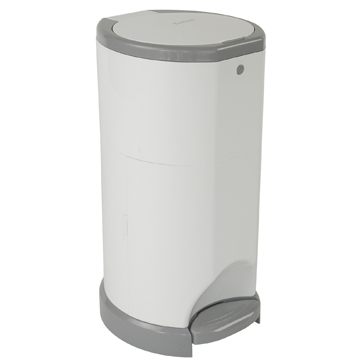 Nappy/Diaper Bin– Besides being expensive, they are not that useful. We each bought one (a different model) and there was nothing wrong with them, but we could have saved ourselves the money. One of us lives in a house with various floors, and keeps the bin in the bathroom adjacent to the baby’s room on the top floor. Because the baby isn’t necessarily changed in his room every time, diapers end up getting thrown in the normal trash downstairs, or in the normal master bathroom bin. It makes no difference whether they are in the special bin or the regular bin – they are stinky anywhere! 3. A Diaper Bag – Besides the fact that it is hard to find a fashionable, sleek, simple, well designed diaper bag*, it is just unnecessary You can use a large bag that you already own. We’ve used a variety of bags ourselves but found that large open ended and easy to access are the best. You can always buy a bag organiser for the inside if you’re one of those (as one of us is) that loves to have everything neatly stacked and easy to find. If you breastfeed and need to carry your bottles around you can always put your bottles in a bottle carrier inside your bag (you’ll have to invest in one of those anyway, whether it comes with a diaper bag or not). It will be much cheaper and won’t cramp your style! * Having said all of this, if you are going to buy one, the bottom of this blog shows an example of a diaper bag that doesn’t look like one (By Pitterpac)! It looks like a beautiful version of a Bottega Veneta bag, but is much cheaper; it has good internal organization system, and it comes in a stunning (unisex) individualistic color. What is not to love? I know, we’re cheeky – good mommies who still want to look fashionable. But remember, there are many more things you can do without (who doesn’t love to have yet another gorgeous bag with the excuse that it is a diaper bag?). Stay tuned for more ideas on what you need not buy! 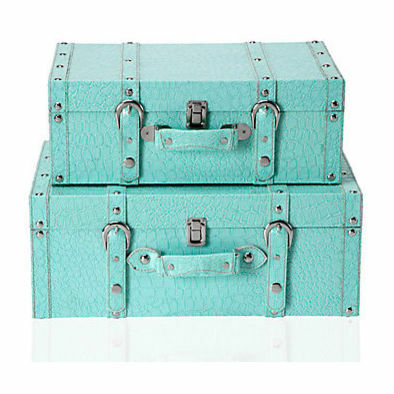 We’d like to know what you wish you had saved up on too! 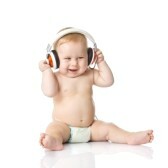 Let us know – what are your top 3 unnecessary baby items? This entry was posted in Travel Tips, Unnecessary Baby Items and tagged diaper bag, diaper bin, nappy bag, nappy bin, Pitterpac changing bag, pram, travel, Unnecessary baby gear on November 18, 2012 by moomboo. As mommies who travel a lot with our babies, we are always on the look out for convenient things that allow us to strike the right balance between our baby’s comfort and portability. Moomboo solves the sleep/play/change/travel problem, but as promised, we will be sharing our tips about all things baby. 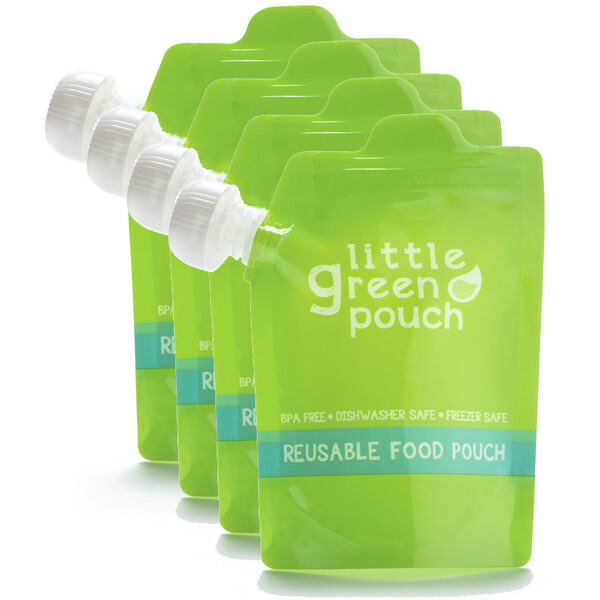 1) The Little Green Pouch – this is a phenomenal idea, that allows you to put your own homemade food inside a squeezable pouch. Young babies learn to squirt this into their mouth early, so its a perfect solution for those independent babies that want to self feed, as it maximizes the likelihood that food will land inside their mouth! It is also great for older children who want to eat a hearty meal on the road. It is a shame they only do this in the US and Canada for now. 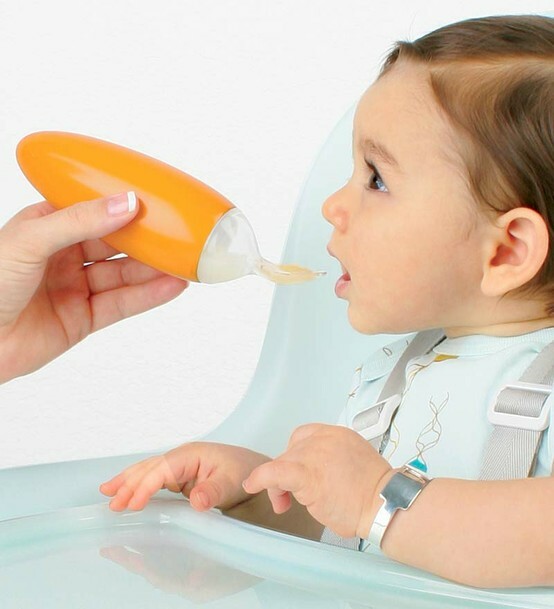 2) Squirt Spoon Baby Food Dispenser– for those who like to be fed with a spoon, here is a great mess free idea. It is a spoon that holds your baby’s food inside it. You can put both baby jar food or your own homemade version. 3) B. Box Essential Baby Bottle– if you’ve moved on to formula (or were always on it) to complement your weaning, you probably crave a bit more mobility to avoid being chained to the house for what seems to be endless baby meals! (can you say 3 solid feeds and 3 bottles!?) 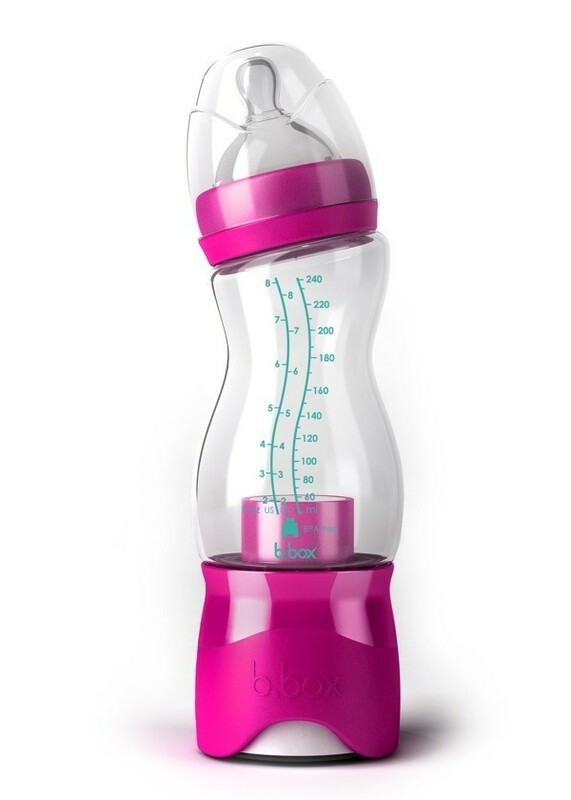 This bottle holds the powder to dispense and the water separately, until you’re ready to mix them! It also looks nice, just the way we like it. All of these options will allow your baby to self feed when ready, but will minimize the mess for you, and make your life easier as you travel. That is just the way we like things to be at Moomboo! What are your best on the road mess free tips? Stage 1: Moomboo allows babies to co-sleep safely with their parents in those first few weeks. Moomboo encompasses the baby recreating the womblike environment (warmth, coziness and safety), and simultaneously creates a safe barrier between parent and child. We know those first few nights can be stressful, so moomboo wants to make them as enjoyable as possible. Stage 2: As the baby grows and is ready to sleep a little further away, you can transition moomboo onto its specially designed stand (which incidentally helps babies who suffer from silent/regular reflux and/or colds) with minimal disruption. The baby continues to sleep in the same womblike atmosphere close to your bed, but slowly gets used to having a bit more space for itself. As you begin to sleep train your child in those first few months, you’ll notice they will start getting up early but not wanting food. That is where moomboo’s baby play insert comes in handy. Just pop it onto moomboo and let the baby amaze at their new play area and beautiful dangling objects in the comfort of their own beds. Stage 3: Once your baby is a little older, and its ready to transition into is own crib or cot, moomboo helps minimize what can be the most stressful period in the baby’s first 6 months. By placing moomboo inside the baby’s crib/cot, the baby will continue to recognize the comfortable shape, its smell and warmth, and feel more at ease in their new environment. What is great about moomboo for parents and babies alike, is that it can collapse into a small, portable travel pod which you can take with you to mom’s house or on your carrier luggage on a plane. This means your baby never has to go without its sleeping pod, play gym and changing station, no matter where in the world you are. This allows parents to sleep train their babies with consistency, minimising variables that may prevent babies (and parents) from catching those additional zzzzzz’s! The comfortable, anti-bacterial product, and indentation of the pod, make it the safest sleeping alternative for your baby, largely reducing the chance of SIDS, and giving you peace of mind that your baby has the very best. The greatest gift you can give a baby (and yourself!) is teaching them how to sleep, so they can be happy, healthy and well rested. Moomboo’s mission is to do just that – help your baby so you canfeel proud and confident that you’ve given them the very best! As moomboo gets closer to its release, we will update you with more information. Founded by two very mobile new moms who witnessed the benefits of sleep training their babies early on, but saw their efforts go to waste every time they traveled, we want to save new parents from buying as many duplicative gadgets and making as many mistakes as we did in our first few months. In this blog, we will share our best travel, sleep training, and efficient baby gadget buying tips. So watch this space and let us know what you think!!! This entry was posted in About Moomboo and tagged changing station, comfortable, cot, crib, happy baby, healthy baby, mobility, play gym, pod, portability, portable, reflux, sleep, training, transition, travel, womb on November 1, 2012 by moomboo.